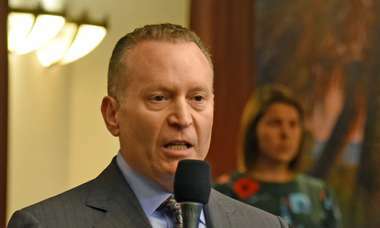 The bill makes more permanent a contract the Department of Health has with the Florida Pregnancy Care Network, which runs more than 100 pregnancy centers through a collection of largely faith-based groups. A bill that would change state law to cement funding for pregnancy support centers, which discourage abortion and provide some medical services for unplanned pregnancies, will head to Gov. Rick Scott's desk after it was passed by the Senate Thursday. The bill makes more permanent a contract the Department of Health has with the Florida Pregnancy Care Network, which runs more than 100 pregnancy centers through a collection of largely faith-based groups. It requires that at least 90 percent of the funding for the centers, which are known in part for their pro-life billboards on state highways, be used on pregnancy support and wellness. It also requires that none of those public subsidies be used to reimburse costs for religious material, though it would allow funds to be used for marketing. The bill passed 21-12 on a party-line vote. The program under which the centers are run was created under Gov. Jeb Bush in 2005 and has received public funding — up to $4 million last year — since 2006. Sponsor Sen. Aaron Bean, R-Fernandina Beach, said putting the contract in state statute instead of an annual budget provision would ensure the program's longevity. The amount of the contract would still be allocated annually by the legislature. Democrats questioned how strongly the state government should support the pregnancy centers, citing concerns about oversight and the accuracy of information provided given their anti-abortion stance. They proposed a series of unsuccessful amendments on the floor, ranging from adding a competitive bidding process for the contract to language that would have required services be backed by medical research. Those amendments, Bean said, were already covered by provisions in the bill. "The idea of having this language in proviso … was not necessarily a bad thing," said Sen. Audrey Gibson, D-Jacksonville, referring to the budget language that had been used to pay for the program in the past. That language could always be tweaked, she added. Democrats also questioned the lack of competitive bidding for the permanent contract, which Bean said had already been addressed by the process that had given the pregnancy network its contract in 2006. Bean acknowledged the centers' pro-life bent made the legislation controversial but insisted the bill would add support for expecting mothers. "They're about life, they're about having that baby," Bean said before the bill passed. "But they're also about giving support where none … existed before." 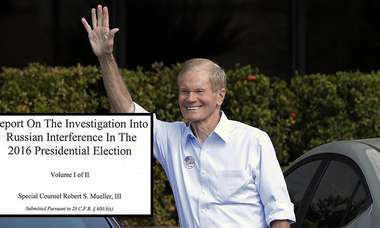 How and why Florida decided to hire Conduent is now the subject of an investigation by the state’s chief inspector general and questioning by lawmakers, who were barraged with angry calls last summer about Conduent.